Putrajaya is a planned city about 25 kilometers from Kuala Lumpur International Airport (KLIA), south of the capital Kuala Lumpur. Together with Kuala Lumpur and Labuan, it forms one of the tree federal and states of Malaysia (controlled by the central government). Putrajaya is part of the Multimedia Super Corridor (MSC) and is the administrative heart of Malaysia. 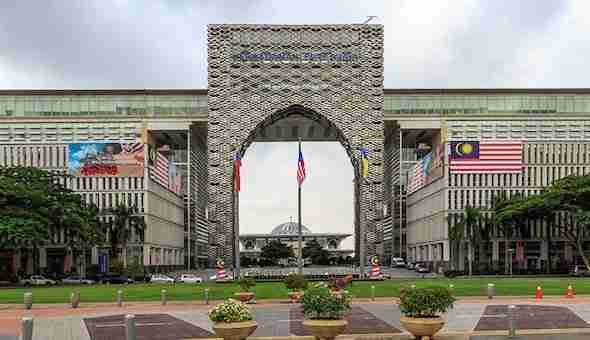 Cyberjaya is the ‘intelligent’ twin city of Putrajaya, is the knowledge and multimedia center of the country. Kuala Lumpur and KLIA are also part of the MSC project. The project is the Asian version of Silicon Valley. Do you have any plans to visit Putrajaya? There are many things to do in Putrajaya Malaysia but first check these things to do below to get more acquainted with this city, Putrajaya. Where is Putrajaya Malaysia on the Map? Putrajaya is the administrative center of the federal government of Malaysia. Some of government buildings have moved to Putrajaya, making Kuala Lumpur a financial and commercial capital only. 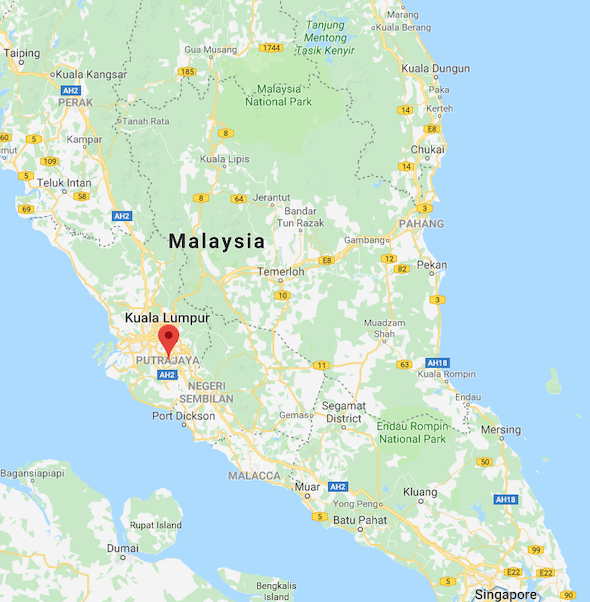 The relocation of the administrative task from Kuala Lumpur to Putrajaya is part of the policy that aims to initiate a more balanced development. The decision to establish Putrajaya was stimulated by the enormous daily bustle in Kuala Lumpur and the general prosperity increase. It ensures growth opportunities in the Klang Valley (where Putrajaya and Kuala Lumpur, among others, fall in the long-term). Putrajaya is part of the growth area south of Kuala Lumpur, within the multimedia super corridor (MSC). The developement of Putrajaya marked a new chapter of modern city planning in Malaysia, serves as an example of a city with an ultramodern information network based on advanced technology and has to make it the ideal place to live, work, do business and to focus on sport and recreation. By the time being, this goal hasn’t yet been fully achieved. There is various programs to allow government staff to move to Putrajaya (under very favorable conditions). In and around Putrajaya you will find various attractions. 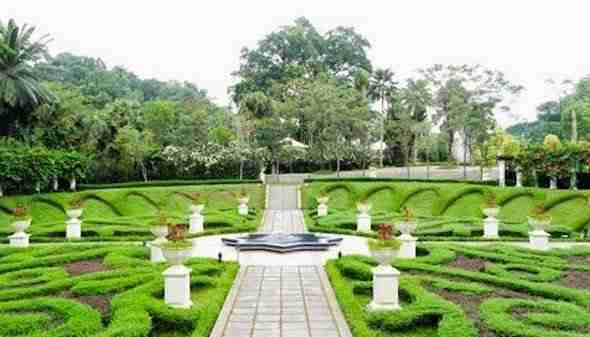 There is a large botanical garden called Taman Botani, here you will find more than 700 different types of tropical plants. In the garden, you also have a wooden canopy walk. From Taman Botani you have a beautiful view of the various buildings in Putrajaya. Next to the botanical garden, you have the Putrajaya Wetlands. The wetlands aims to naturally filter abundant rain water and water from the Putrajaya lake. Perdana Putra looks out over the lake, including the office of the prime minister in the building. The park Taman Putra Perdana is the highest point in this area and thus one of the best places for a panoramic view of Putrajaya. There is also various event annually at Putrajaya. Such as the Hot Air Balloon Fiesta, the Malaysia International Fireworks Competition and the Putrajaya Waterski and Wakeboard World Cup. In all cases, several countries compete for the title of who is the best in the world. Putrajaya is the starting point for the following popular attraction and sites. Its 116 meters minaret is influenced by the design of the Sheikh Omar Mosque in Baghdad. While the basement wall of the mosque resembles that of the kind Hassan mosque in Casablanca Morocco. The mosque is constructed in rose-tinted granite which gives it a desert-pink that offsets the chengal woodwork on doors, windows and panels. The courtyard is landscaped with features and can hold an additional 5.000 people. Putrajaya Lake is in the heart of the administration city and visitors can take a leisure cruise on the lake. One can view stunning sights of the surrounding area from the cruise, including the Putrajaya Mosque, Putrajaya Bridge as well as several government administrative buildings. The air-conditioned cruise boat also seats 76 persons comfortably and one can see the landmarks of Putrajaya via its wrap-around glass windows. There are also open air boats that can be used for small groups of people. 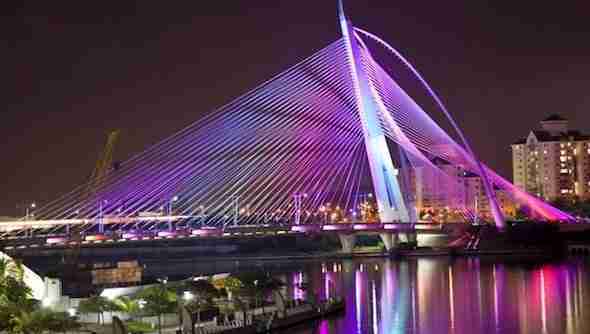 Seri Wawasan Bridge is one of the main bridges in the planned city Putrajaya, the new Malaysian federal territory and administrative center. The erdana Putra is a building in the office complex of the Prime Minister of Malaysia. Located on the main hill in Putrajaya, it has become Synonymous with the executive branch of the Malaysian federal government. 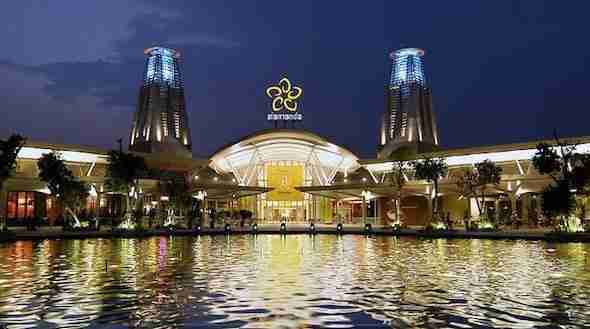 The Alamanda is the first regional shopping center to be built-in Putrajaya. The Administrative Capital of Malaysia. 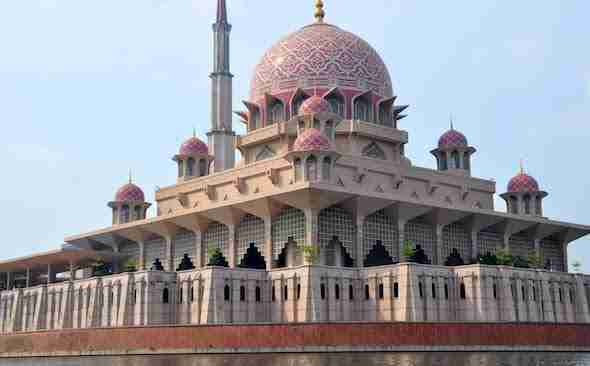 Its located 25 kilometers south of Kuala Lumpur. And the mall is well positioned to accommodate the growing population of Putrajaya and surrounding neighbourhood townships. From KLIA you can take a budget taxi for a fixed price. This will take you to Putrajaya in about 25 minutes. From the center of Kuala Lumpur you can go by taxi or with the KLIA transit. The transit train departs from KL Sentral. When you arrive at the Putrajaya / Cyberjaya KLIA Transit Station you can take a taxi or a bus to the center. Bus lines 901, 902 and U42 pass the major attractions. I have been asked where places are on the map. So I added picture shown where is it. Putrajaya has a good variety of guest houses, hostels and hotels. Here are a few places to check out and give you an idea of what is available in Putrajaya if you are planning to visit Putrajaya. Everly Putrajaya features air-conditioned rooms and suites with free Wi-Fi. A minute’s walk from Alamanda Shopping Centre and Putrajaya Lake, the hotel has a restaurant in its lobby. All rooms and suites have a flat-screen satellite TV, safe, minibar and electric kettle. Located in Cyberjaya in the Selangor Region and 500m from Federal Court of Malaysia is Dorsett Putrajaya. The luxurious hotel boasts views of the lake. All rooms at Dorsett Putrajaya are air-conditioned and equipped with a satellite TV. With views of the garden, rooms also come with an electric kettle, safe deposit box and a wardrobe/closet. Each room features a private en suite bathroom fitted with shower facilities. Set in Putrajaya, a 3-minute walk from IOI City Mall, Le Meridien Putrajaya offers a fitness centre and bar. All units in the hotel are equipped with a flat-screen TV with satellite channels. With a private bathroom, rooms at Le Meridien Putrajaya also have free WiFi. Finally, as you can see, there are so many things to do in Putrajaya Malaysia. And, the list above is only a few of them. If you decide on visiting Putrajaya, you can explore the other spots by yourself and you can stay in a hotel available nearby. And that’s it for now! 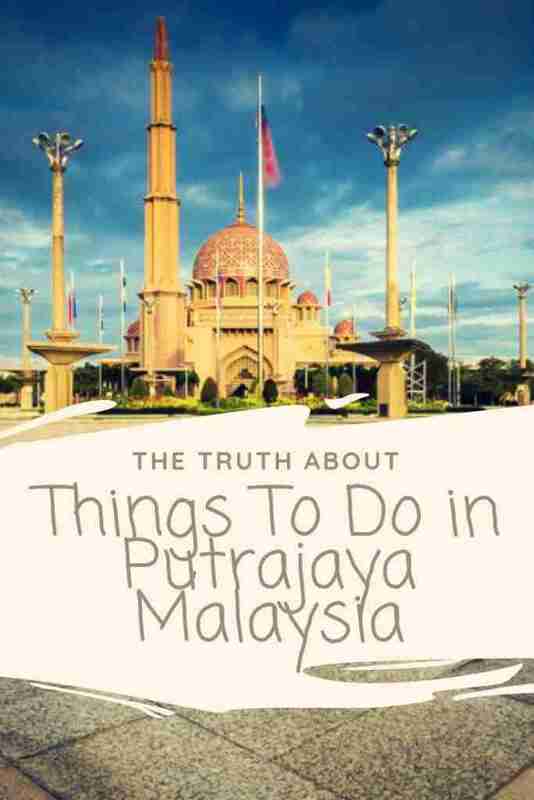 I’d love to know if this guide on the things to do in Putrajaya Malaysia has helped you. Let me know if you have any questions and let me know if you go. Reasons To Visit Malaysia. Why Travel To Malaysia?Traveling To The Philippines, What To Bring To The Philippines?